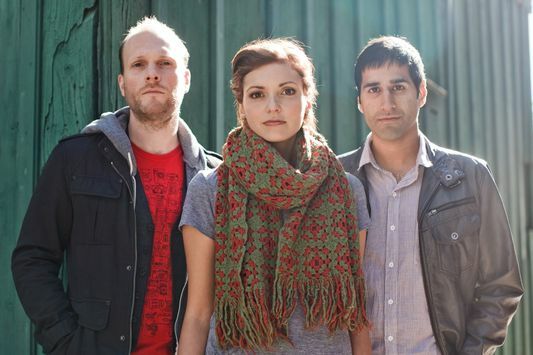 Any sneak-peaks of a new album by the most anticipated Toronto folk rock band , The Rural Alberta Advantage, pump me up! Their album, "Departing" is due to be out in March 2011. Rolling Stone magazine recently posted the music video for the song 'Stamp' off the new album on their website. The aggressive drumming and catchy humming between vocals is exactly what I was waiting for! However, I'm not terribly fond of the concept of the video but you at least get some insight into the new album from the song. Thankfully this is not their official music video. Yes, you can expect the real one to be awesome. Click here to check out the video. Click here to download Stamp for free from Paper Bag Record's site. Also the band recently announced their spring tour schedule. Click here to check it out.